You are currently browsing the tag archive for the ‘Welsh’ tag. 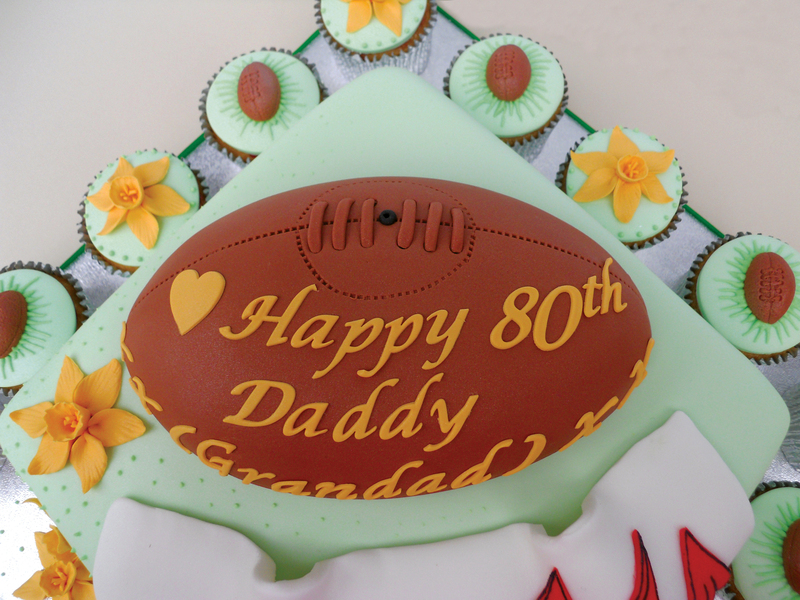 This fantastic cake was designed for an avid Welsh Rugby Fan for his 80th Birthday party. 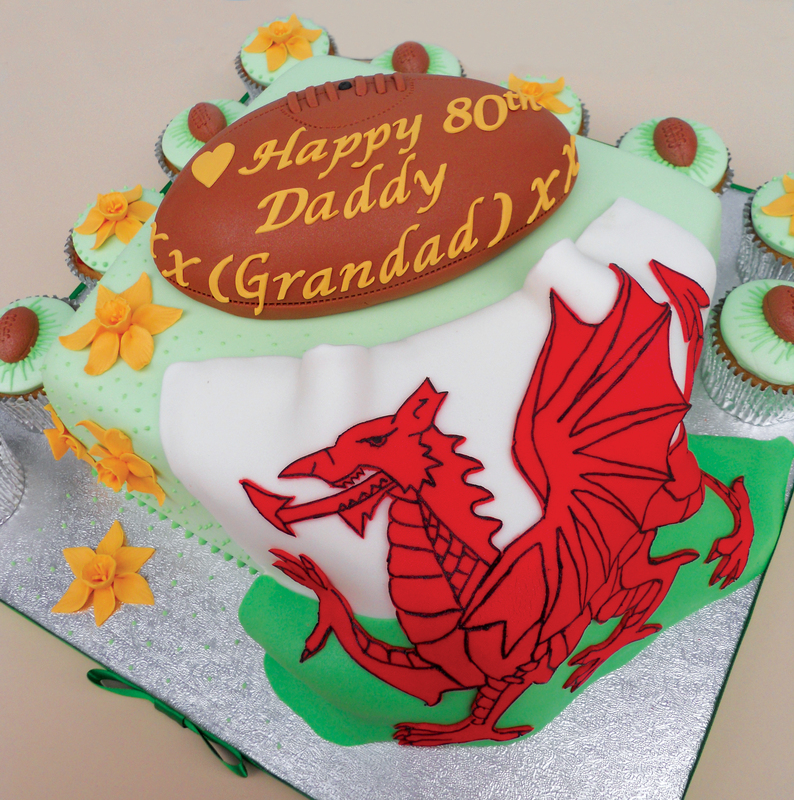 The cake was a conglomerate of the Welsh flag, a rugby ball and some bright yellow daffodils. First of all I moulded the rugby ball in my hands to get the correct shape and then added the stitching and other details. Next came the tricky flag; the red dragon was cut out by hand and attached to the flag which in turn was attached to the cake and finished of with an edible black pen to create the outlines. To finish off this design was the cheerful handmade daffodils. For that extra special touch I added some cupcakes with rugby ball and daffodil detail. Some royal icing piping and the wording and voila a finished work of art. If you’d like me to decorate a similar cake for a special occasion then please feel free to contact me for a quote. Copper Top Cakes is based in Nottingham and delivers to the East Midlands area.